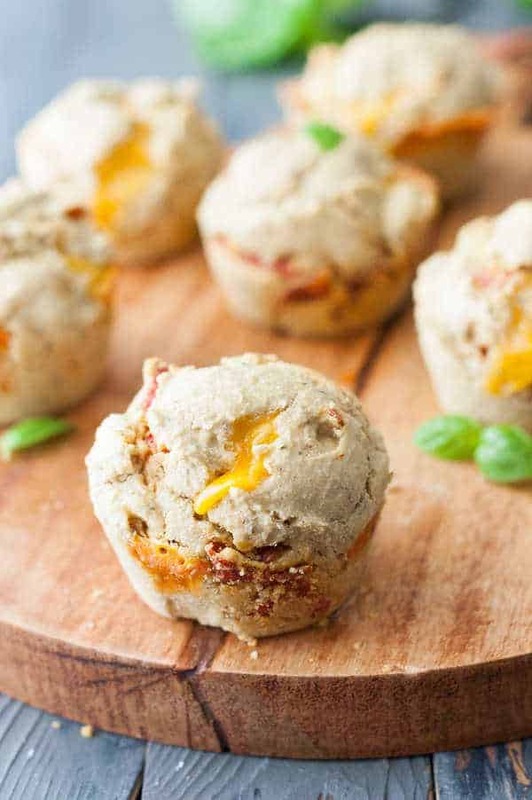 These are the very best ever healthy pizza muffins recipes. Kids and adults love them. They are savory muffins with the ingredients you would normally find in a pizza, such as pepperoni, cheese, and Italian seasoning. The struggle is real at my house. I hate making home lunch for my children. Loathe it with a passion. I’m not quite sure why I hate it so much. Oh! I know part of the reason. I spend all this time and energy making food and there is always at least one person who doesn’t like it. 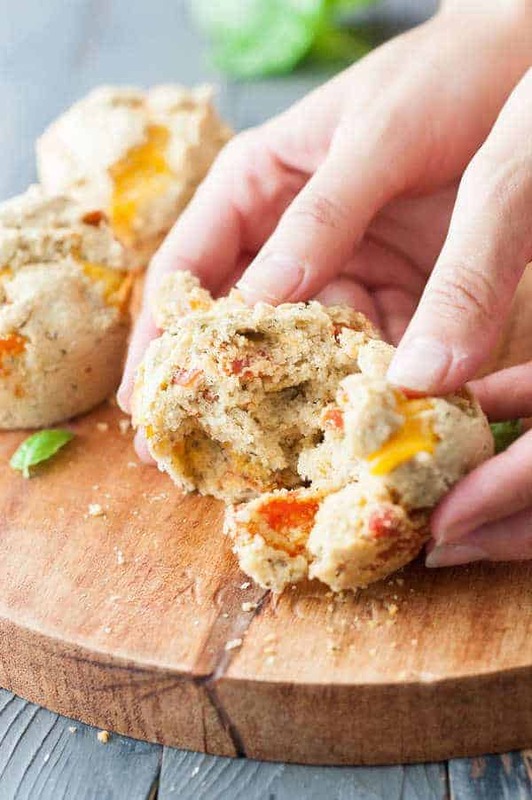 Enter these healthy pizza muffins. Once I created this recipe, my life got a little easier. I mean, this is basically their whole lunch in one neat, little package. I just add a veggie and fruit and call it good. They are filling and delicious. They are especially good dipped in some pizza sauce. Bonus – I even found containers that don’t leak to put the pizza sauce in. Click here to see them. I made several batches of these and found the best way to keep them from being dry and pasty was to do a biscuit/muffin approach. The process is like making a biscuit but baked in muffin tins. They held together well and were full of flavor. Not dry at all! I like to change things up and use mozzarella cheese or sausage sometimes too. I do have to admit they taste better hot (just like pizza), but they are fine cold too (just like pizza). I have to wait to make these until my children have gone to bed or they aren’t any left for lunch. If you like this healthy pizza muffins recipe, you may also like my Clean Eating blueberry muffins recipe. For that lunch box, I usually include the muffins, some bacon, veggie, and fruit. 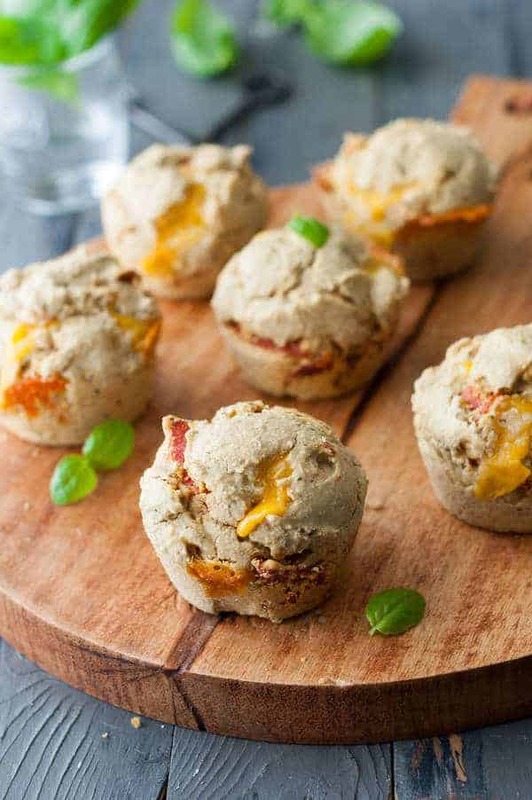 Please comment below and let me know if you try this healthy pizza muffins recipe and you ate them warm or cold, with or without pizza sauce, etc. Preheat the oven to 400 degrees. Grease a muffin tin. In a large mixing bowl, whisk together the whole wheat flour, oat flour, tapioca starch, salt, onion powder, herbs, and baking powder. Add the butter cubes and work in with your fingers until the mixture resembles coarse crumbs. Add the pepperoni and cheese and toss evenly throughout the mixture. In another mixing bowl, whisk together the egg, buttermilk, and water. Pour into the dry ingredients and stir with a rubber spatula until the mixture comes together to form a dough. Using a large scoop, divide the mixture between the 12 wells of a greased muffin tin, making sure each scoop is rounded on top. Bake in the preheated oven for 10-12 minutes, or until a toothpick inserted into the center comes out clean. Remove and let cool in the pan for 2 minutes. Remove and store in an airtight container. I’m going to have to try these for my kids school lunches this year. I’m excited to have a new recipe to try out on them.